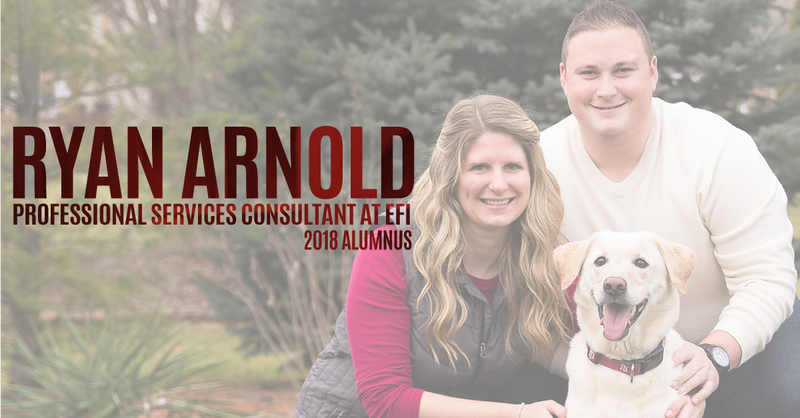 I am a Professional Services Consultant specializing in corrugated packaging manufacturing for Electronics for Imaging (EFI). I provide a wide range of services for my clients including full company-wide audits, analyses, as well as implementation and training on our full range of ERP and MES software explicitly tailored to the corrugated industry. 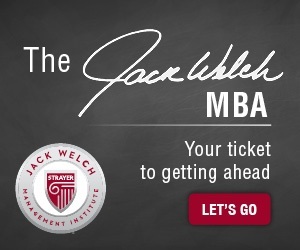 JWMI has undoubtedly helped me hone my skills as a business professional and as a leader. While I’ve always understood the importance of direction and speed, I now have a much more confident base of knowledge to utilize in my decision-making processes and I am able to execute even more decisively. This has not only made me a more valuable asset to my clients and executives within my company but it has widened my scope of leadership and has afforded me new professional opportunities. I changed jobs after I started my MBA and couldn’t be more thrilled. This new position has not only doubled my salary but afforded me the ability travel all over the world. As consumer demands push companies for “more” those businesses look to differentiate top talent to meet or exceed customer expectations. While a bachelor’s degree got my foot in the door, it was the master’s degree that helped to differentiate me from my peers. While I like to think that my experience and my actions can speak for themselves, in today’s increasingly competitive market the MBA is a real game changer! And there are obviously many MBA programs to select from. 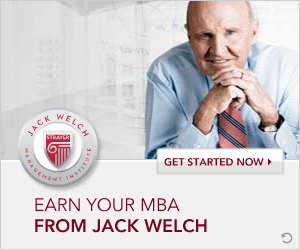 However, when you are looking to learn from the best, who better to learn from than a business legend like Jack Welch. Looking back at what you thought about an online program when you first embarked, what was your overall impression now? Did it meet your expectations, via DQ Boards, Jack Calls, Faculty, etc. Before starting my MBA, I was a bit skeptical of an online program. 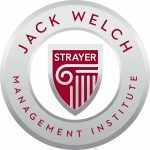 However, through the support of professors, real-life examples from industry experts, and discussion boards with classmates I quickly realized that JWMI offered a truly immersive experience that I was going to benefit from significantly. What’s been the most rewarding experience in the program? While I believe I could discuss a point in every class that I consider to be extremely rewarding, there is one overarching achievement of which I am most proud: earning a Welch Scholar Distinction for completing the program with a 4.0-grade point average. There was a time in my undergraduate program where my priorities became misaligned, and I was on academic probation. I was scared to death that I wouldn’t be able to correct my path. But I buckled down, and from that point and forward promised myself, I would never slip again. This promise pushed me through my MBA, and I’m incredibly proud of my 4.0 GPA achievement. It’s something in my undergraduate program I could have never imagined. One of the biggest challenges is finding the balance to complete the program. I was nervous about the time commitment when I started JWMI. As much work as I thought there would be, I was wrong… there was even more! However, Benjamin Franklin said, “There is no gain without pain.” I took this to heart and realized that late nights and weekend projects were merely part of the experience. There was undoubtedly sacrifice but knowing it was a means to an end in achieving something I wanted both professionally and personally made it all worthwhile. I am a big proponent of the idea that those who think they can and those who think they can’t are both right. Even if it’s been years since you’ve been in an academic environment, you have to first believe in yourself. The workload seems overwhelming in the beginning, but your professors and classmates are all there to help you. My best advice is not to short change yourself. Don’t rush through assignments or skip required reading. 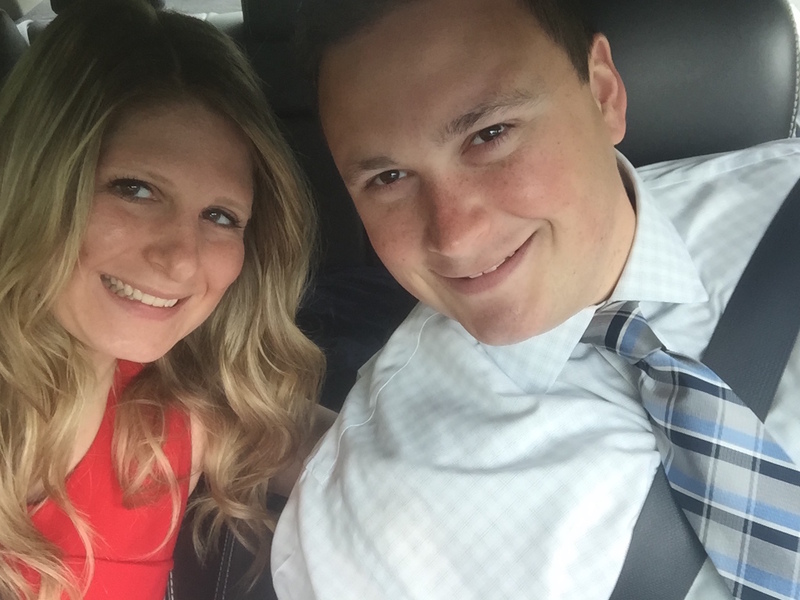 As professional adults, we are all busy, but this MBA is possible. Create a plan, schedule your time, and execute on your strategy. It will be well worth it in the end.